When traveling to a new city, one of my favorite things to do is to find that one bookshop where you can browse some new hardbacks, indulge in some good old people watching all the while enjoying a good cup-a-joe. All this and a little more, you can find at Aspuddens bokhandel, a small bookstore with an in-house café just ten minutes by metro outside of Stockholm city. The bookstore has been around for about 4 years and focuses on small Swedish publishers, but you can also find English literature along the shelves. They also sell wonderful posters, totebags and other gadgets, but the one thing you should do here is sit down with your favorite book or magazine and enjoy a good old cup of coffee and a snack. Aspuddens bokhandel also organizes workshops, author meetings and film screenings, so check out their website for dates and times. 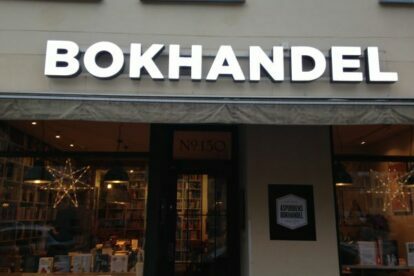 The ambition of the bookstore is to create a literary and cultural platform with strong local ties and is your perfect first stop of the day for exploring the GLAM-area, south of Stockholm.